I’ll be performing at College of the Desert this Friday, November 13th starting at 7pm. It’s a joint faculty concert featuring Dr. Anthony Fesmire (Guitar, Outside Pedestrian) and Dr. Kelly Corbin. Rounding out the ensemble will be David Lockeretz from Outside Pedestrian on bass and Dan Waddell on Piano. Here is a video of the same lineup playing at the Pollock Theatre during Outside Pedestrian’s CD release concert. I had a great time working with students and my band Outside Pedestrian during our jazz workshop at The Drum Lab in Laguna Hills, CA. It was great teaching along side Dr. Anthony Fesmire (Guitar), David Lockeretz (Bass) and our special guest for the event Ron Kobayashi (Keys). Here is a clip from drum student Donovan Hess during his second take of Herbie Hancock’s Watermelon Man. 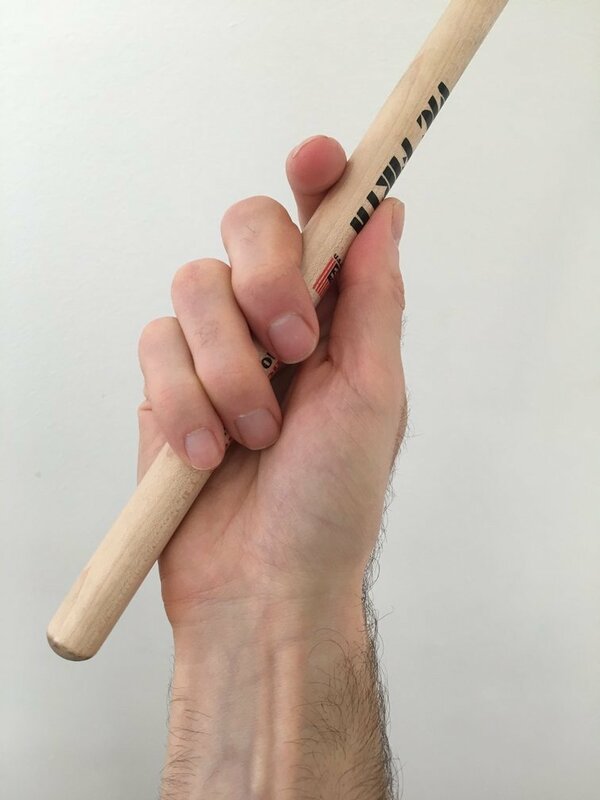 In terms of holding the sticks, there are a few different grip points to consider. The Moeller book teaches it from the back fingers (little finger grip). 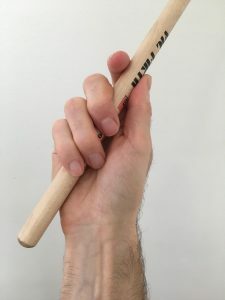 Murray Spivack’s technique teaches the fulcrum between the thumb and middle finder. 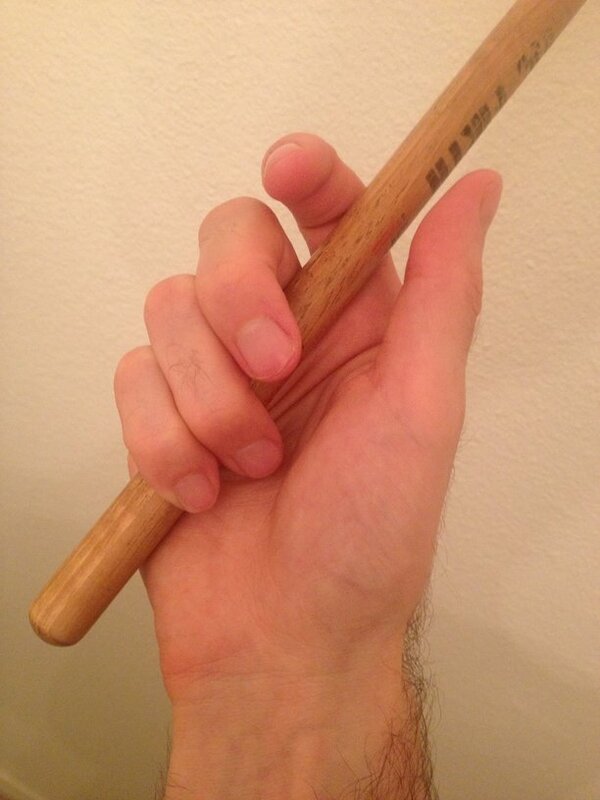 For most beginners I find that the easiest fulcrum to teach and learn is between the thumb and the index finger. 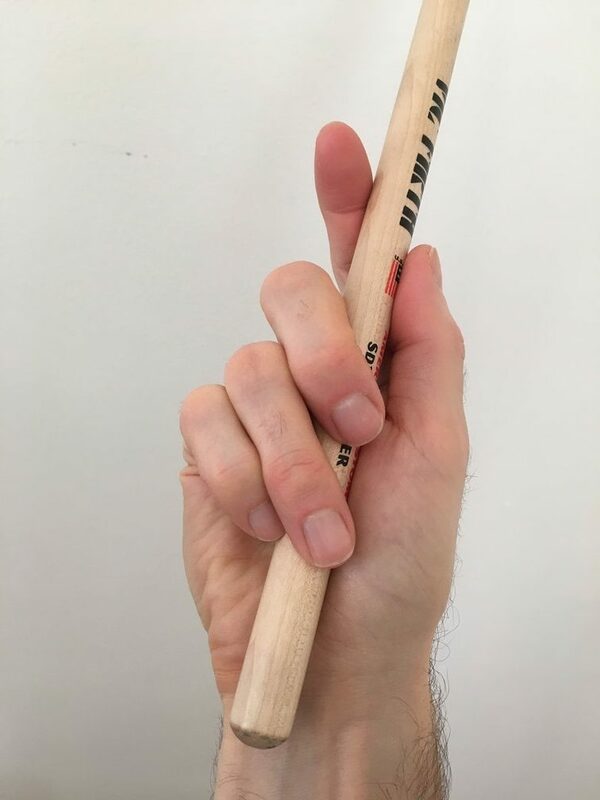 So what is this thing we drummers call “fulcrum.” For starters, it’s a term that has gained enough attention to warrant a wikipedia entry. 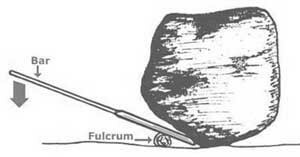 Basically, the fulcrum is the support which enables a lever to pivot. It’s an engineering term that has been adapted by drummers to notate the area of the grip that acts as a hinge to enable the sticks to pivot. Although a fulcrum can exists on different part of the stick, each stick has an optimal area that yields the most rebound for each stroke. 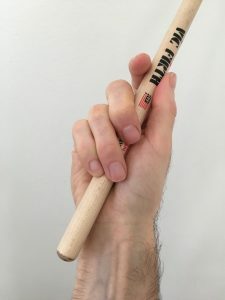 I go into more detail on that optimal balance point in the video below as well as a few other details I like to point out when teaching beginners how to hold their drumsticks.